This incredible hybrid is both heat and cold tolerant! Its dark, rich burgundy color is absolutely incredible in full sun and the bright orange flower rising nearly 4’ tall makes this plant a traffic stopper! 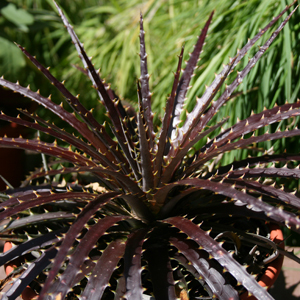 We sell these remarkable plants in quart containers while supplies last!